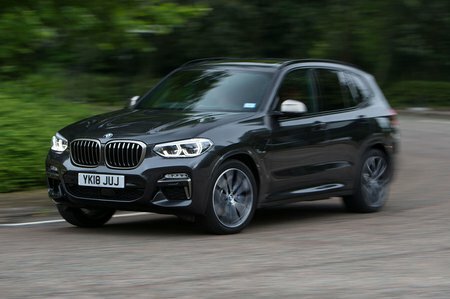 BMW X3 xDrive30d M Sport 5dr Step Auto 2019 Review | What Car? What Car? will save you at least £2,630, but our approved dealers could save you even more. An Audi Q5 might be more comfortable, but a X3 superb driving experience and spacious, high-quality interior makes it one of the very best large SUVs to buy. And if you want to combine those elements with a serious turn of pace, the M40i is one of the best performance SUVs around. Adds larger 19in alloy wheels and a more aggressive-looking bodykit. Sadly, you also get overly stiff sports suspension, although you can opt out of this for no extra charge. The cheaper trims make far more sense. The 261bhp 3.0-litre straight-six diesel model is a relaxing car and would be our pick over the hot M40i. It certainly makes more financial sense for the majority of people and it’s not far behind the M40i in a sprint.